Compromise almost never gets good press. In fact, the common understanding of compromise involves a lose-lose proposition that we should avoid at all costs! NOUN: An agreement or settlement of a dispute that is reached by each side making concessions. VERB: To accept standards that are lower than is desirable. In other words, compromise is understood to involve “meeting halfway”, “finding middle ground”, or “coming to terms” with an arrangement that no one is completely happy with! Is this what we’re doomed to in marriage? The good news is that — like most communication skills – – compromise can be learned, practiced, and mastered. In fact, needing to compromise challenges us to demonstrate creativity and flexibility: two things that – like it or not – are in demand across ALL realms of life. Some of us, however, are a little rusty when it comes to this vital relational tool. 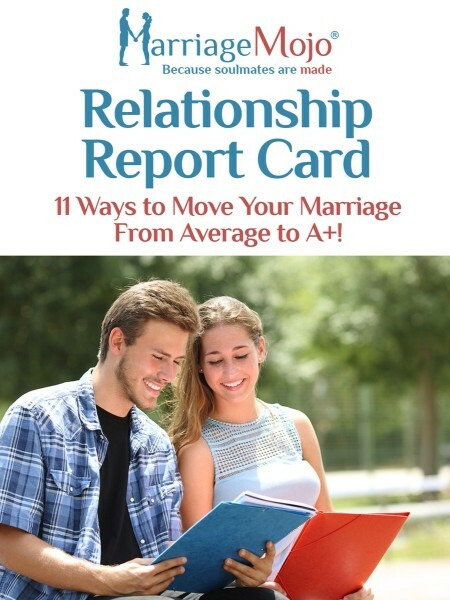 Keep reading for my suggested list of five different ways of compromising and commit to experimenting with one of these new strategies the next time compromise is needed in your marriage! This is perhaps the most common form of compromise because it involves simply identifying the “mid-point” between your two stances. Say, for instance, you disagree with your partner about what time your teenage daughter’s curfew should be. If your spouse would like her curfew to be 10:00 p.m. and you prefer 12:00 a.m., you can simply calculate the average and tell your daughter to be home by 11:00. If meeting in the middle isn’t appropriate or agreeable, you may wish to try taking turns. In this case, this would look like having your way one week and your spouse having his/her way the next. Your daughter would thus have her freedom until 10:00 p.m. one week and be able to stay out until 12:00 a.m. the next. The advantage of this method is that it’s “fair” to both of you. The disadvantage is that one or both of you may be unwilling to concede totally by giving the other person a turn. A more imaginative way of arriving at a resolution is to generate an idea that doesn’t fully represent either of your views. In this case, you might agree that your daughter’s curfew on the weekends can be 12:00 a.m. but needs to be 10:00 p.m. during weekdays (at least on school nights). This method invites you to consider other options but doesn’t always suggest a solution you can both live with. Do you and your spouse argue about the same topics repeatedly? Just reach out: we can help you finally put these issues to bed! One version of the above strategy is to present your case to someone you both trust, then agree to live with their “ruling” on the matter. For instance, you might ask for advice from a close friend who has already survived the teenage years. If she believes that your daughter should have a consistent 9:00 p.m. curfew, you will have to live with that. This is a great tactic when you could benefit from hearing from someone who may know more than you do about the subject. However, you (and your daughter) may not be thrilled with the outcome. A final way you can approach a sticky issue is to determine who feels most strongly about the matter at hand. In a phrase, it’s a way of choosing your battles. If your daughter’s curfew isn’t a major issue for you but it is for your spouse, for example, allow them to make the decision and let it go. Next time, if you feel more strongly about the topic on the table, your spouse might allow you to determine the outcome without interference. This can be an effective approach is one of you refuses to budge and the other doesn’t care as much about the outcome. The potential downside is that you must trust your partner enough to know that the freedom to choose will come back to you in due time. (So, for example, this may not be the best approach if you are attempting to co-parent with an angry ex-spouse). Preparing to Parent Your Teen: How to Maintain a United Front. Try these new strategies with your partner the next time you can’t agree and see if you can finally get past the impasse. If not, we’re here to help! We teach couples how to effectively resolve “impossible” problems and we’re standing by to hear from YOU. JOIN THE CONVERSATION: What other ways do you use in your marriage to compromise with your spouse?